LaLiga is well known across the globe for possessing some of the finest attackers in football through the years, with Barcelona legend Lionel Messi and his eternal rival Cristiano Ronaldo emerging recently from the division and establishing themselves as two of the greatest attacking talents the sport has ever witnessed. 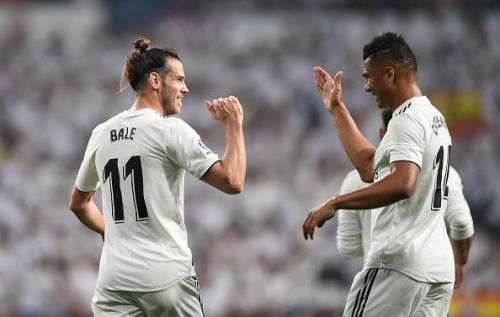 Although the league suffered a huge loss when the Portuguese left Real Madrid for Juventus this summer, that has not stopped other offensive minded superstars from continuing to impress with their amazing records in front of goal. Tearing opposition defenses apart, tormenting goalkeepers, and scoring fantastic goals, these incredible players have set the division ablaze with their incredible goal-scoring exploits - despite featuring in just a few matches so far. Therefore, lets quickly take a look at 5 amazing attackers who have started the new LaLiga campaign in explosive form. 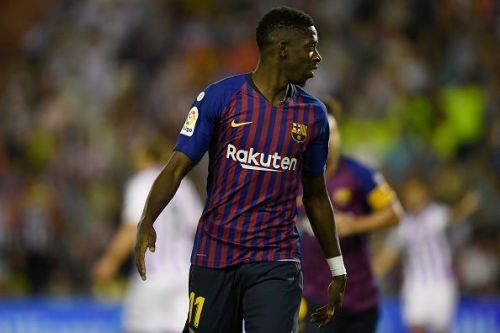 Signed by Barcelona as a replacement for Brazilian winger Neymar Junior who departed the Nou Camp to complete a world-record deal to join Paris Saint-Germain during the summer of 2017, Ousmane Dembele failed to make an impact in his debut season with the LaLiga giants after suffering a couple of terrible injuries that kept him limited. However, the former Borussia Dortmund attacker has now put his injury crisis behind him and he has entered into the new LaLiga campaign in spectacular form, running riot with his incredible dribbling skills and explosive bursts down the left flank. From a want-away player to an indisputable figure, Dembele has become one of the most important superstars in the Barcelona squad at the moment. So far, he has recorded an amazing 2 goals to his name in just 3 appearances this season, helping La Blaugrana to earn a decent start to the campaign.